CHIGO Poland Sp. z o. o. is general representative of CHIGO Air Conditioners in Poland – well known manufacturer of air conditioners. AB KLIMA under agreements with specialized factories on the market under its own brand a wide range of air curtains and heat recovery units..
CHIGO company is located in Nanhai, Guangdong Province in southern China. This is one of the largest and most advanced manufacturers of air conditioners. 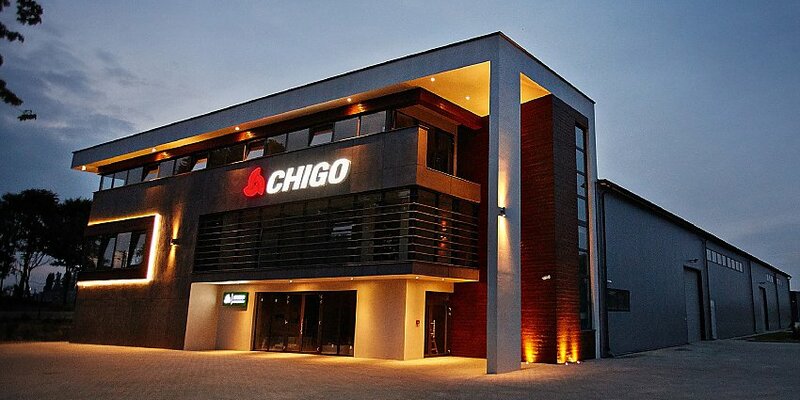 CHIGO factories are located on an area of 300 hectares and employ nearly 16 000 employees. The annual production is 8 million units. CHIGO company produces about 300 models of air conditioners wall type, floor, cassette, ceiling, duct, multi -split, portable and VRF systems. It exports products to more than 200 countries and regions, and closely cooperates with the company Hundai GROUP and MITSUBISHI.